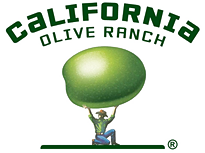 Although there are over 300 small artisan olive oil growers and producers in California, California Olive Ranch (COR) is by far the largest and most innovative in the country. The 700-acre ranch is headquartered in Oroville, a Northern California agricultural community located near the Sierra Nevada foothills. With over 300,000 trees, COR's fall harvest will yield America's most abundant crop of olives grown exclusively for the creation of premium olive oil. In order to be called an "estate-grown" olive oil, the final product must be grown, harvested and processed on the same farm or estate. California Olive Ranch's (COR) staff is always in total control of its premium olive oil from the first bud on a tree branch to the last bottle on our high-speed processing line. Rigid quality control, constant product testing, and periodic tastings all help to enhance the exceptional taste of COR's Arbequina and Arbosana gourmet olive oils.